Obtaining Florida Boat Insurance Quotes Online is easy with Click & Save Insurance. Find the most affordable Florida Boat Insurance Quotes available based on your personal profile. Our team of Marine Insurance Professionals are here to assist you. Call us today at 1-813-643-7770 for all of your Florida Insurance Services, or click here. When researching Florida Boat Insurance Quotes, you will need to consider what type of boat you want to insure. Not all insurance companies provide Boat / Marine Insurance. Why do I need Boat / Marine insurance? Protect your valuable investment. You will lose financially if something happens to your Boat or Yacht and you are not properly protected. With Click & Save, you can buy the best protection you possibly can at the best price you can get. When researching Florida Boat Insurance Quotes, don’t assume your current insurance covers your Boat. 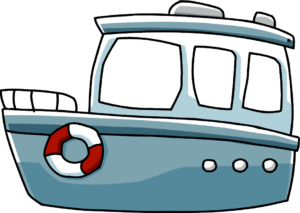 If you are new to boating, you may think that your homeowners insurance will cover your boat. Unfortunately, in most cases, it won’t. Many homeowners policies will have a small amount of coverage for starter boats with either no engine or a very small engine, like a small sailboat. If you are investing in a more serious boat, you will need a separate Boat policy. How is Boat Insurance different from home or auto insurance? Boat insurance offers a mix of home and auto insurance. Similar to home insurance, a boat policy covers you for liability if someone is injured on your Boat. It also gives you the choice between replacement cost or cash value if it is totaled. Similar to Auto insurance, a boat policy typically includes coverage for bodily injury that your boat causes to others, property damage your boat causes to docks and other boats, and physical damage to your craft if you hit something or run aground. A Unique feature of some boat policies is that it may allow you to “lay up” or suspend coverage for specified periods when you’re not utilizing the boat. Is my boat covered everywhere? You must be aware of the navigational limits on the Florida Boat Insurance Quotes you are receiving. The size of your vessel matters. Be sure your policy provides coverage where you want to travel. It may exclude certain geographical locations for political or security reasons, like the pirate filled waters of Somalia. One-time trip coverage is available, however you need to check in with your insurance company to ensure you are protected. Optional comprehensive coverage will give you added financial protection in the event of an accident resulting in a claim. What Discounts are available when purchasing Florida Boat Insurance? How can I save additional money on boat insurance? Get specific. Don’t buy yacht coverage if you own a row boat. What other recreational vehicles can I insure and save?